We stock new, used and reconditioned Alfa Romeo parts, with models ranging from current back to the 90's, 80's, 70's, 60's and 50's. Check below for a list of Alfa Romeo's that we stock items for. * Courier or Australia wide delivery available. 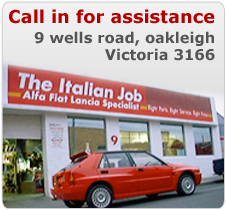 Huge range of new and second hand Mags to suit most italian cars.